The panorama of the Italian Interior design is spectacular, heterogeneous and constantly evolving, always ready to confirm the great Italian sensibility and brilliance in imagining and designing the places to live in. The Made in Italy has always been a guaranty for the excellent quality of the products, for a fresh design and the innovative touch. The birth of the Italian brand “Made in Italy” brings us back to the beginning of the twentieth century. Indeed, in Italy interior design and modern art have always gone hand in hand, so that in 1922 the artistic movement of the early twentieth century started to influence also the field of the interior design and of the creation of furnishing accessories. At the beginning of the twentieth century, at the time of luxury and the Art Nouveau movement, Italy was able to revive its golden age.Then, the fifties and sixties have been the years of the boom, so much that they still influence today’s fashion with the charm of retro furnishings. In recent years, Italian design in the world keeps its charm unchanged expanding its influence, in addition to the interior decoration, also to fashion and life style. The Italian design is rooted in the rich and varied folk art that has constantlybeen interwoven with art and handcraft. Glass, porcelain and other luxury materials have always been the best representatives for cities like Venice or Florence. These cities expanded their wealth, strength and creativity during the Renaissance period. Indeed, they became important centres of commerce and, thanks to this, they have been influenced by large flows of goods from foreign countries which allowed them to come in close contact with many different cultures. Italian design has introduced many changes in the world of furniture, which today are recognized as classics all over the world. Let’s then see which are the Top 5 Best Italian Furniture Designers! Alessi is an Italian Design brand. It specializes in the creation of designer articles for home cooking and home furnishings. Today it is one of the leading companies in the field of industrial design and it manufactures and distributes especially mid-range products. The categories in which Alessi specializes are: kitchen, living, furnishings, appliances and accessories. 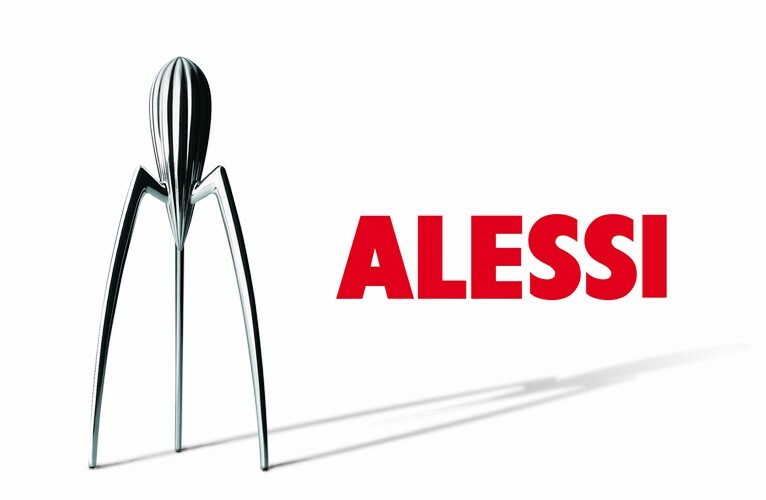 Alessi has always been recognized for the high quality of its products. Starting in 1921it has gradually evolved into a leading exponent of the Italian Design Industries, capable of applying the skills and excellence achieved in design management to very different product types. The company is favourable to the change and the international development, however, it is at the same time deeply rooted in the tradition and cultural background of its territory: Alessi continues to be synonymous of handicrafts produced also with the help of machines. Today Alessi’s mission is to translate the search for the most advanced cultural, aesthetic, executive and functional quality to the industrial production of series. The design productstems from the constant search for mediation between art and industry, between the “Possible Creativity” and the needs of the market. The company’s commitment is to work constantly on a borderline, balancing the most advanced expressions of international creativity and the public’s desires. Alessi‘s guidelines set the standards of quality as the original production of the company, in a continuous mediation between the technological complexity of the industry and the attention to craftsmanship. For 70 years Foppapedretti is synonymous of quality, functionality and safety. This business philosophy is valid for all wooden products, but it has also been strongly acknowledged for “metal” technology and other materials introduced in more recent years. In these cases, Foppapedretti has chosen the best partners on the national and international market to ensure high quality standards and safety. All wooden products are designed and manufactured in Italy to guarantee quality, utility and safety to the consumer and in every stage of the production process. The Foppapedretti products last over time thanks to the choice of the best materials employed in their production. For the wooden product, quality is synonymous with ecology: over time, the Foppapedretti products allow wood from protected forests to regenerate. Wood is the main material for all products, 100% natural and ecological. The company uses only timber from certified geographic areas and woods whose reforestation is controlled by local regulations and verified by forestry bodies. Since space is never enough at home, in addition to the design features, the convenience and security of every article, Foppapedretti also wants to ensure that the furniture occupies the least amount of space. Each product, in fact, is foldable and when closed it occupies very little space to easily disappear in the small corners of the home when not in use. The load-bearing structures are made of solid wood to last over time. To improve the functionality, other quality materials are also adopted: for example, stainless steel for indestructible joints, rubber for non-deformable safety profiles and for the wheels. The quality of materials, the practicality, functionality and handling, along with the refinement of the design and the attention to safety, make Foppapedretti a solid reality in the Italian industrial landscape and an important part of the “made in Italy” production in the world. ASKEM LUXURY FURNITURE &DESIGN is a young and dynamic company from the Southern Italy which finds its success thanks to the careful and accurate production of furnishings in line with the highest quality standards. Indeed,A.L.F.D. can be recognised as a reference point for the modern Italian design both domestically and internationally. The young and dynamic company is all about quality, the result of a commendable passion. The brand’s products respond to the highest aesthetic rigor and structural strength: they are unique pieces, with high functionality and simple assembly simplicity. A.L.F.D. aims to follow the customer from the beginning of the process and to become their partner in a continuous exchange of ideas and suggestions to grow the business with always new and unique products. Over the years, the company has had a steady development and a steady impetus that has led it to become a solid reality in the furniture industry. Professionalism and knowledge are the key ingredient to provide a service that improves over time. Logistics is entrusted to the best national and international professionals and the delivery takes advantage of absolute partnership. The production is renowned for its organizational efficiency, structural strength, high functionality, and excellent value for money. In recent years,A.L.F.D. has demonstrated commercial flexibility coupled with accurate after-sales service which has led it to gain the confidence of the customer and of the constantly evolving market. The modern lines and inspirations of contemporary design shape the perfect furnishings for the living area, the bedroom, the kitchen and the dining area. A.L.F.D. also deals with the production of electric sofas and armchairs, a panacea to soothe and prevent back or cervical problems and provide you with the utmost comfort. If you like A.L.F.D. products go to The Italian Community shop! The Calligaris Group was born from the union of craftsmanship, quality, care and the Italian style, all factors that has made of it one of the leading companies in the Italian furnishing sector. To date, the group counts: 600 employees; operating branches in the US, Japan, Russia and France and five production plants which distribute its products around the world. The Calligaris group aims at ensuring the design and the creation of furniture and furnishing which are ready to enter the most diverse houses, to harmonize with different styles and to give rise to unique environments. The company has always been led to embrace the change, indeed, in the last 90 years, there have been many changes in Calligaris. In fact, change as innovation and constant evolution has always characterized the Calligaris’ way of working. Those key concepts are part of this Italian and international business, and are shared with the people working in this environment, the suppliers and the customers. The brand is a guaranty of quality and creativity; at the same time, it is affordable, contemporary, flexible, and possess an intelligent design. Calligaris is reliable and based on culture and passion, it offers products which are smart in their design and accessible in terms of prices.Calligaris extends its range with complete furnishing solutions: chairs, tables, beds, sofas, furnishings and accessories.The Calligaris products are not only art made, but also versatile, ergonomic and designed to simplify everyday life. Wood is no longer the only material upon which Calligaris builds its innovations, but the company also works with metal, plastics, leather and glass. The company’s stores are elegant, modern spaces designed to showcase the philosophy of the Italian Smart Design. Kartell is one of the main design companies of the Made in Italy. An incredible range of products – furniture, furnishing accessories, lighting, home accessories – has now become part of the home landscape and true icon of the contemporary design. The Kartell collection is multifunctional and transversal, easy to use and with an undoubted aesthetic appeal. Colour, irony, game of senses, transparencies and unique shapes are interwoven to create unique objects: The Kartell product is recognizable at first glance around the world for the emotion it delivers, its durable functionality and the undisputed quality. Continuous evolution in the use of plastic materials and the experimentation of new technologies and processes are key to Kartell, which always seeks innovation both in terms of functional performance and aesthetic qualities of its products. Thanks to this continuous research it has been possible to introduce unparalleled properties to plastic such as transparency, flexibility, resistance to atmospheric agents, softness and amazing and special colours. Kartell’s plastic is practical and functional, sensual and precious and it radically transforms the product from a merely functional object to true luxury. Kartell’s know-how is to push innovation to the extremes, enabling designers to express their creativity with new technologies and materials to create true “industrial revolutions” in our home landscape. Kartell also makes use of the collaboration with the most prestigious international designers for the creation of its unique collections. Distribution is, for Kartell, a key link between the brand and the global audience. Over the last 15 years, Kartell has focused on an energetic retail program in order to give visibility and recognition to the brand according to homogeneous and consistent product strategy. The production of Kartell objects is followed in all its phases by the company’s technicians, which assure and verify the technological, industrial and quality adaptability, trying to reconcile the needs and expectations of the consumer with the industrial processes employed. Kartell’s products are not just aesthetically appealing, their proven practicality and multifunctionality are constantly monitored and controlled by strict and rigorous reliability tests.